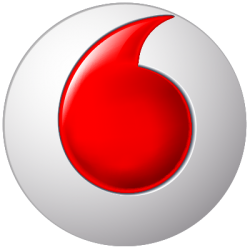 Vodafone Group is a British multinational telecommunications company, with headquarters in London. It predominantly operates services in the regions of Asia, Africa, Europe, and Oceania. Vodafone owns and operates networks in 26 countries and has partner networks in over 50 additional countries. Its Vodafone Global Enterprise division provides telecommunications and IT services to corporate clients in 150 countries.